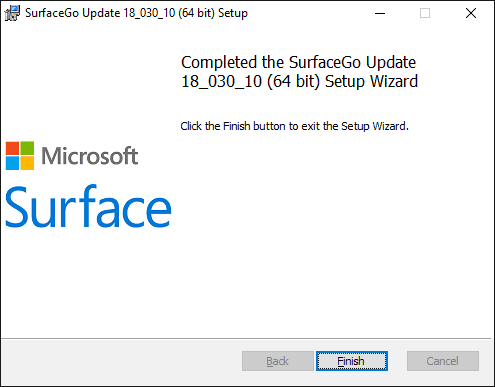 Now you can download the cumulative drivers and firmware update for the Microsoft Surface Go in case you need it. 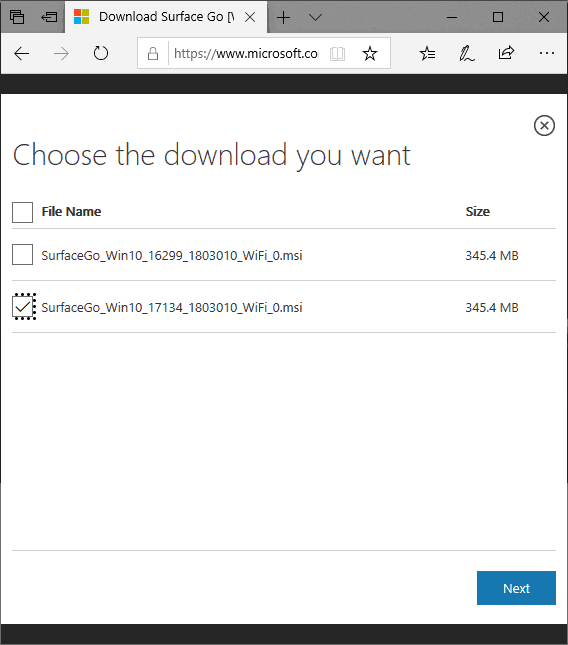 This download can be handy when you need to do a clean install or troubleshoot driver problems on your Surface Go. On top of that, it’s really important as well in a corporate environment where multiple Surface Go devices need to be installed. Microsoft will update the download regularly, so make sure you check back the Download page again when you need it. 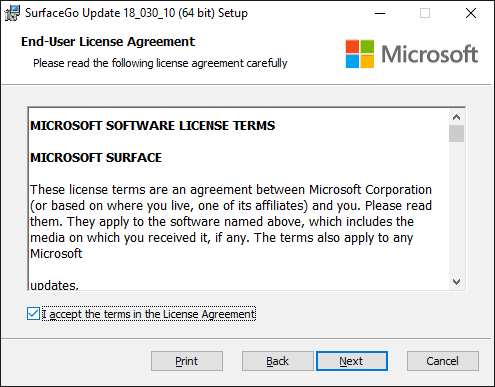 However, if you have access to the Internet, Microsoft recommends you better get drivers and firmware update via Windows Update instead. Cumulative and current firmware and drivers for the Surface Go. 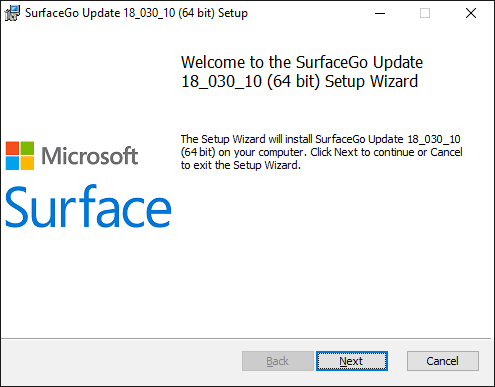 This firmware and driver package contains drivers for all of the components in the Surface Go, as well as updates to the system firmware that have been released via Windows Update. 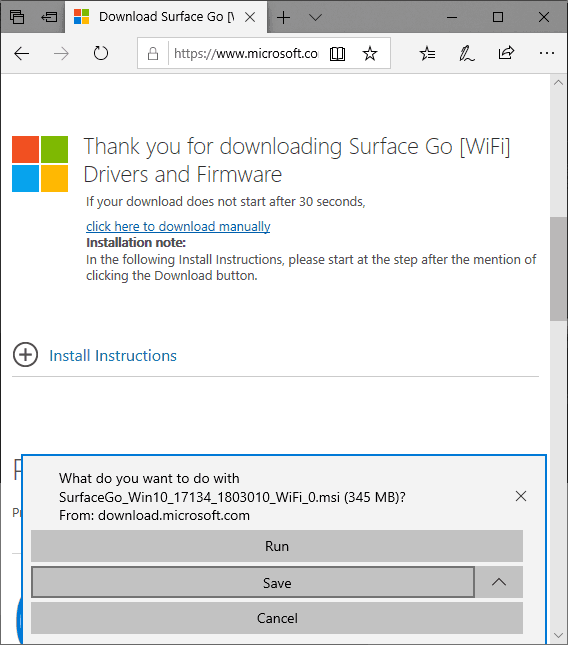 These drivers and firmware are compatible with Windows 10, including Enterprise versions. 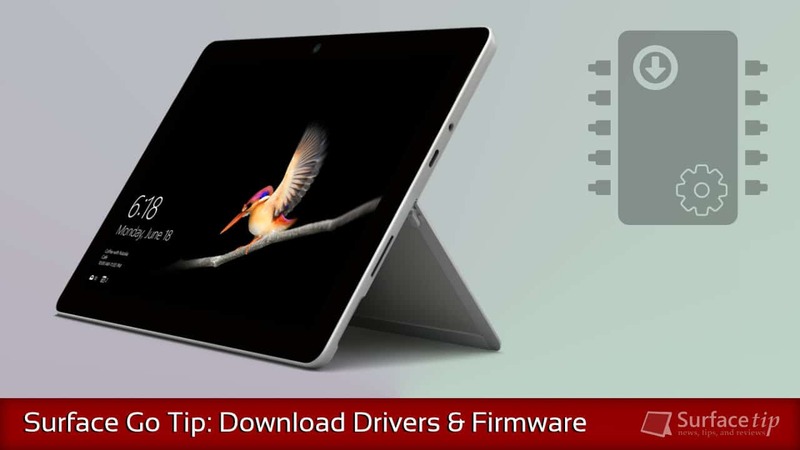 The driver MSI files include all of the drivers and firmware needed to deploy custom images of Windows on your Surface devices. Additionally, the WinTab driver is provided for those professionals needing WinTab compatibility with certain Surface Pen enabled applications. 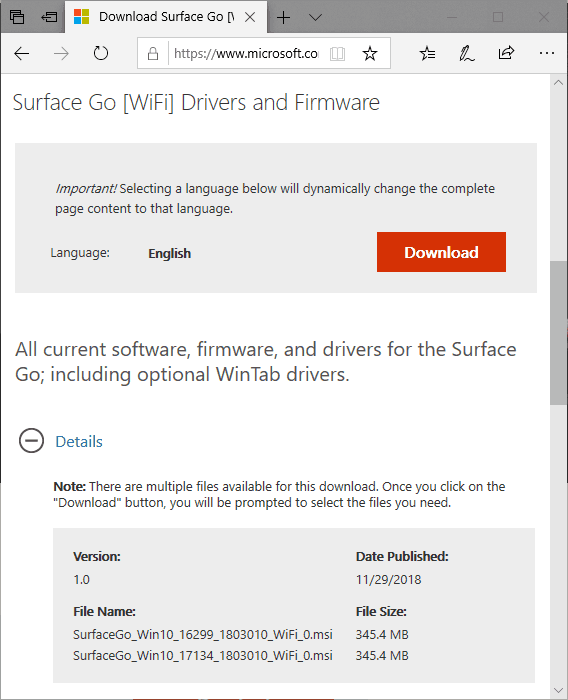 Go to Download Surface Go [WiFi] Drivers and Firmware page. 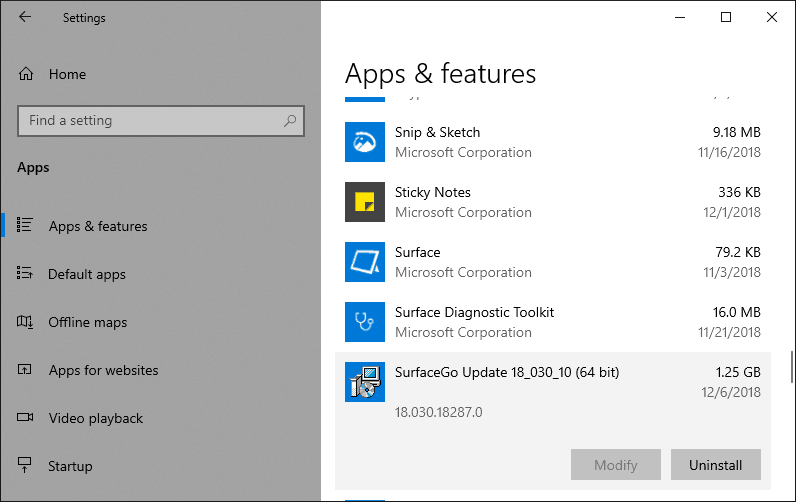 [Surface Model]_[Windows Version]_[Minimum Build Requirement]_[Driver Release Number]_[Upload Number].[Extension]. Check all files you want to download and click Next. Confirm your download by click Save. Double-click the downloaded .msi file. It will show the installation screen. Click Next to continue. Accept the agreement and click Next to continue. Choose the installation path. Click Next to continue. It may take up to ten minutes to finish the installation. After that click Finish to close the setup. 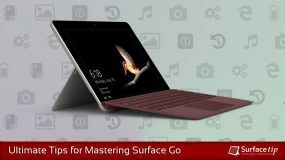 You’ll also need to Restart your Surface Go to finish updating your system. Click Yes to restart your device. Open Settings > Apps > Apps & features. Now looking for “SurfaceGo Update xx_xxx_xx (64 bit)”. 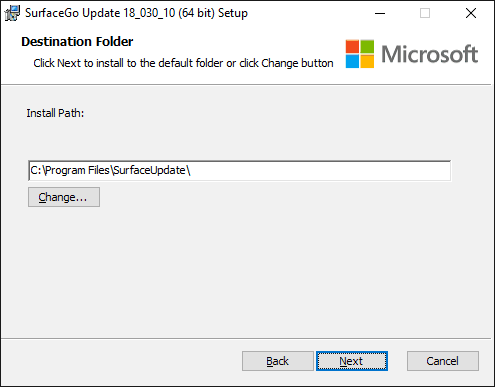 We appreciate hearing your thoughts, questions, and ideas about “How to download and install the latest Surface Go drivers and firmware updates”. Please post respectful comments and on topic. We will be replying back to you as soon as possible. 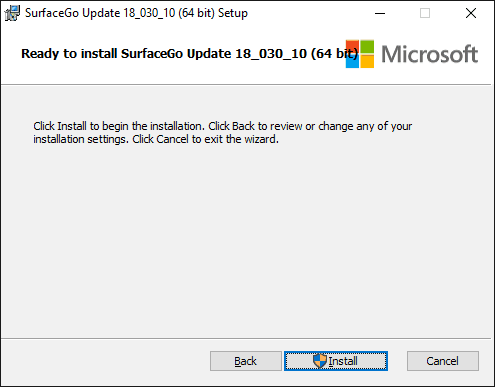 Share your idea about "How to download and install the latest Surface Go drivers and firmware updates".